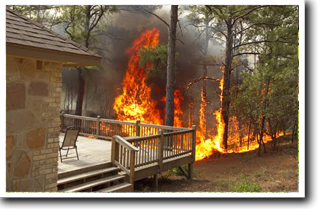 (AUSTIN, TEXAS September 7, 2011) - As wildfires scorch Central Texas, many families will have to pick up the pieces and either rebuild or remodel their homes. The Home Builders Association (HBA) of Greater Austin urges the public to do its homework when selecting a builder or remodeler. First, develop a list of builders and/or remodelers. Look in the real estate section of your local newspaper for builders and projects. Check with local real estate agents for references. Ask friends and relatives for recommendation. 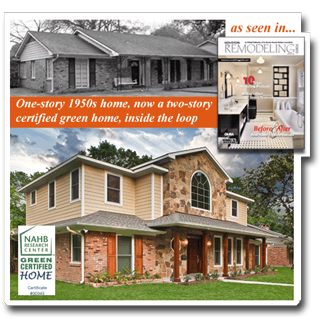 Many HBA members have successful homebuilding and remodeling businesses. 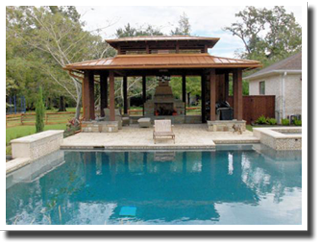 Visit www.AustinHomeBuilders.com; click on "Find a Member," then scroll down to search for a builder or remodeler. Second, do your research. "When you hire a professional home builder or remodeler, you are buying a service rather than a product. The quality of the service they provide will determine the quality of the finished project and your satisfaction with it," said Harry L. Savio, CAE, executive vice president of the HBA. Listed below are some qualifications you will want to explore and questions you will want to ask when you interview them. With the answers to these questions, you'll be able to pick a professional builder or remodeler that's the best match for your home. Maintain a permanent mailing address, a phone number and a pager or answering system? You want to be able to reach them quickly and easily--especially at critical times. Carry insurance that protects you from claims arising due to property damage or job site injuries? Ask for a copy of their insurance certificates so you can be sure that you are not liable for property damage or jobsite-related injuries. You should also ask them how much the project will add to your home's value and then obtain the necessary additional insurance. How long has the company been in business? Longevity usually suggests financial stability. Do they maintain solid relationships with experienced independent trade contractors (such as plumbers and electricians) and work with them as a team to keep your job running smoothly? Possess a trustworthy reputation among customers, peers, and in the home building/remodeling industry? Ask for a list of building materials suppliers and call them to see if they have an account or pay for materials on delivery. Most suppliers are willing to extend credit to financially sound companies. Have a working knowledge of the many types and ages of homes in the area? A sound structural and architectural knowledge of what is likely to be behind a wall or under a floor helps the home remodeler provide reliable estimates. Extremely low bids may reflect a remodeler's lack of this knowledge and a poor understanding of the actual costs involved. Know what products and materials would likely be used for your project? Offer an array of options when selecting products, materials and techniques? Offer a warranty? If so, what kind and for how long? What is covered under the warranty and what is not? Understand the scheduling issues required to begin and complete your job within your timetable? 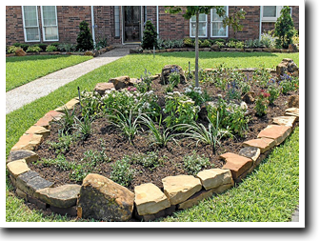 (TEXAS LANDSCAPE & NURSERY ASSOCIATION - July 23, 2011) - Here are steps that will help conserve water, preserve and protect landscape during the drought, and also help produce stronger, healthier plants for many years to come. Mulch soil surface. Organic mulch such as bark and commercial compost reduces water loss due to evaporation, prevents weeds by covering weed seeds and keeps the soil cool in the daytime. Apply a two-inch layer of mulch around shrubs, trees, annuals, vegetable gardens and even in containers. Install drip irrigation. Drip irrigation is a watering system network of flexible poly tubes that carry water from the source, a faucet or sprinkler valve, to feeder tubes and emi-ters that drip, spray or soak individual plants. This method helps eliminate waste and weeds putting water only where it is needed. Watering is done in a slow, steady and timed fashion. A drip system typical uses 40 to 60 percent less water than conventional methods. Water infrequently, deeply and thoroughly. Roots will grow where the water is. The deeper the water, the deeper the roots. With deep roots, plants have a large soil reservoir from which to draw water. Plants will develop a greater tolerance to dry spells if watered infrequently. Learn when to water. Water when the soil is dry, not before. If water begins to run off, take a break and allow the soil to absorb the water. Repeat the cycle until desired depth is reached. Dig a hole to check penetration. Schedule watering when there is little or no wind and the temperatures are cool, which is usually early morning. Sun and wind steal moisture. Build basins around trees and shrubs to minimize runoff. Apply water directly to roots. If the system is not automated, use a root feeder (a hollow probe that attaches to a hose and siphons water directly to the plants roots) for deep watering. Properly condition and fertilize soil. Water does not easily penetrate clay solid and may pass too quickly beyond the root zone of plants in sandy soil. Adding organic matter to these soils will help correct imbalances and reduce water waste. Pull weeds. Weeds compete with other plants for limited water and nutrients. 1. Planning and Design: A landscape isn't a bunch of plants; it is a set of miniature ecosystems where everything affects everything. Plan ahead. 2. Soil Evaluation and Improvement: Soil is where it all starts. To match plants' needs to soil, you have to know the soil type. 3 . Practical Turf Areas: Select the appropriate grass species and consider the size and geometry of turf areas for optimal water use. 5. Efficient Irrigation: Water only the plants that need it and only when they need it. 6. Use Mulches: Mulch cuts down on evaporation of water and keeps the plants cool. 7. Appropriate Maintenance: Keeping turf at its optimal height, checking the irrigation system, and other basic maintenance saves time and water while providing a more beautiful landscape. Tips to Spring Into! Did ya know...? (HOUSTON, TX, April 28, 2011) - Following are some simple tips that can help keep your home in good working order this Spring. Daylight savings is a good time to check your smoke detectors. Change batteries if needed. Have your AC filters changed and routinely cleaned routinely to enhance efficiency. Check washer and toilets hoses; these should be replaced every few years. No need for unnecessary flooding! Check leaky faucets; dripping can be annoying and cause water bills to rise. Check your refrigerator seals, this will help keep your food at the proper temperature. 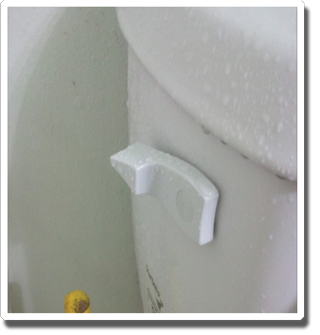 Most of the time you don't notice the supply line on your toilet until it is too late. This is an easy maintenance fix; we suggest that you replace your supply line every few years and use a metal braided line instead of a plastic line. The picture above is of a plastic supply line that aged and burst. The busted line caused water to pour through the ceiling, leaving two inches of water on the hard wood floors. This produced several thousand dollars of damage to this unit and to the neighbors' unit downstairs -- all for a $5 to $10 routine replacement. Read the entire GPS Spring Newsletter here! 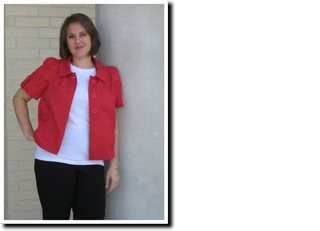 (HOUSTON, TX, March 15, 2011) - Carrie Saxon Hampe joins the Gryphon Property Services/ Gryphon Builders team. Carrie will be managing the office and in-house marketing and social media. She wears the hat of many roles in the development of the company by assisting with the creation of individual departments, policies & procedures, marketing support, and accounting. We are honored to have her. replied, "Where are you going? ", "I'm going home" the soldier told him. At that moment the young boy put his arms around the soldier's neck and said, "Thank you for keeping my home safe." own carbon footprints, the green movement	has reached new heights. "There's been a change in the market," said remodeler Allen Griffin, CGR, GMB, CAPS, CGP, of Gryphon	Builders. "Where people used to tear down older inner city homes and replace them with new construction, they are now realizing that revitalizing older homes makes sense economically. 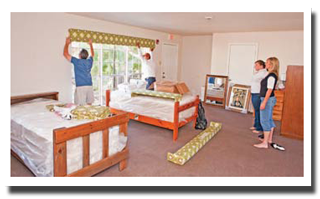 Remodeling is a better option for the overall environment because much of the old structure is reused and updated with the latest technologies, compared to a tear down which would all be in a landfill." Read full story or Tour our new green home!